You’re wondering how to handle all stains and remove dust from your carpet? Don’t bother attempting to clean it by yourself as you most likely won’t succeed. The most suitable option is to book our comprehensive carpet cleaning services, based in W1 Marylebone. You will receive high-quality service at affordable rates. The technicians who work for our company are well-trained experts who operate professional equipment for optimal results. Another plus is that they use only “green” chemicals and cleaning solutions, safe for your health and the environment. Make sure you call us for fresh and gleaming carpets! Thanks to our specialised equipment, expertly-trained technicians and flexible scheduling, our company has built a name as the most reliable carpet cleaning provider in W1 Marylebone. If you want to greatly extend the life of your carpeting, we are the perfect company for you. Maintenance and cleaning are essential practices if you want to keep your carpets at their best for as long as possible. With the help of our experts that’s an achievable goal. 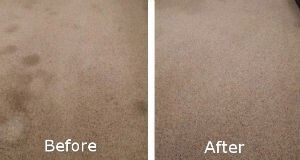 For maximum efficiency our team will perform a test to identify the type of stains on your carpet, on the basis of which they will determine what cleaning products will be most suitable for their removal. The pre-test is performed on a very small section of the carpet in order to avoid damages. Find us also in North Kensington, Notting Hill and Shepherds Bush. As soon as stains are identified, the team will proceed with dusting and vacuuming. What happens next is steam cleaning. The high temperatures, developed in the process, are key to dissolving even the most obstinate of stains and exterminating all bacteria and microbes, settled in your carpet. But unlike many other carpet cleaning providers, the technicians we employ do their best to remove extra moisture from your carpets, so that the drying time is as quick as possible. Once they deodorise the carpets, the process is complete. 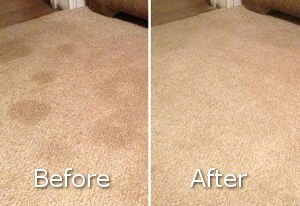 As you can see our carpet cleaning services in Marylebone are definitely worthwhile. Want to schedule us? There’s nothing easier as booking is conveniently made over the phone or by filling in our online booking form.